Dodo was founded in 1995. Originally the organization was called Dodo – Tulevaisuuden elävä luonto (Dodo – The living nature of the future), the name changed in 2006. The organization was founded to address environmental issues societally, without unnecessary simplification. Defining for the organisation is a positive and open-minded attitude and a direct approach. The main activities are related to activating citizens and demonstrate new customs. The groups that function under Dodo focus in matters such as sustainable energy in the cities, communality in condominiums, urban gardening, and how to affect urban planning and the future city. At the moment Dodo has a big focus in urban gardening, where it has been a pioneer. 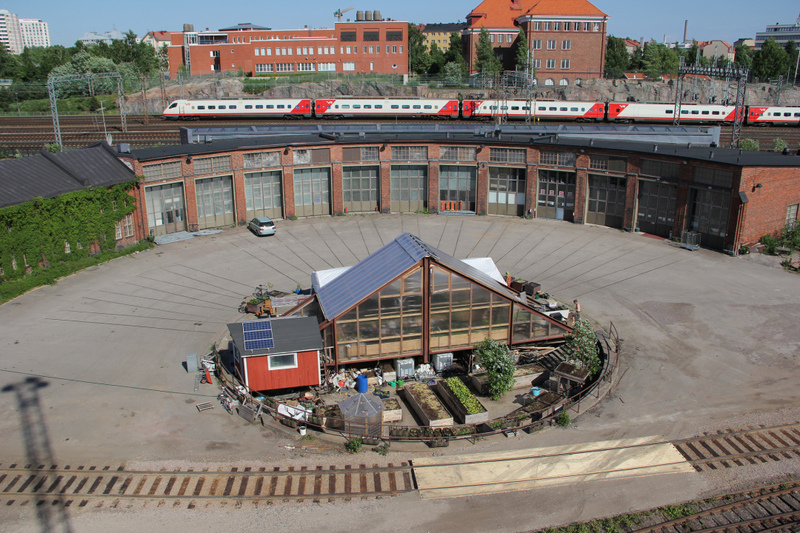 Dodo has an urban farming garden, café and green house called the Turntable, as well as other projects related to food production. The board of the organization is elected once a year. In 2015 Maria Nordlund is chairman of the board. The board have the final responsibility of the activity and operability of the organization. Many of Dodo’s activities are organized as different independent groups, such as the Lucky housing cooperatives group or the Urban gardening group. Each group is led by one or more active members, some of whom are also in the board. These groups and form the main function of the organization. The organization also has supporting members, who provide financial assistance. Dodo rarely acts directly through design. Despite this, design is implicit in the operation of the organization. Perceiving future cities is an important part of Dodo’s activities, an integral part of this is visualising how cities in the future might look like. What is a good living environment, and what aesthetic values does it have? These are questions Dodo has been discussing for years. Design-wise, Dodo doesn’t create plans or products, but gives parameters and guidelines for sustainable solutions in future cities.